PPCGeeks.com – Samsung leap frogs Apple in Market Share! Samsung leap frogs Apple in Market Share! Comments Off on Samsung leap frogs Apple in Market Share! 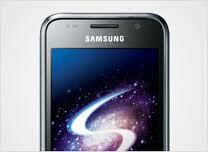 Samsung has finally leaped over Apple to become the number one smartphone manufacturer. Until Q1 2012, Apple was the world leader in smartphone sales, but IDC has released shipment figures showing Samsung leading the pack! Apple did sell an impressive 35.1 million iPhones in Q1 of this year, but Samsung did better with 42.2 million units sold. Nokia is also continually falling in market share where they once were the overwhelming leader of phone sales. With the eminent release of the SGS3, Samsung could jump to an even more commanding lead since rumors point to an iPhone 5 October release!